I continue to wrestle with the wiring on the boat. The old wiring dating back to the inboard engine I never saw is still dangling and snarled up inside the hull walls. 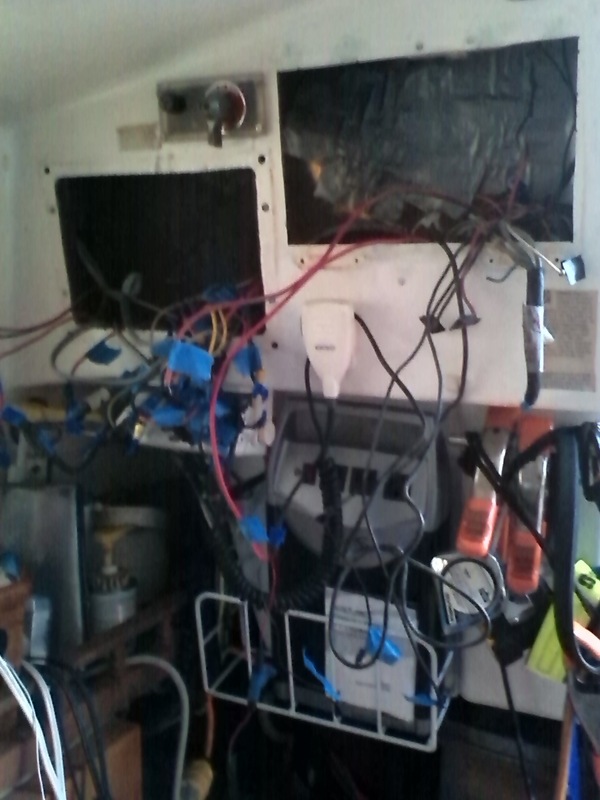 As I clean up the snake pit I see that some black wires have been spliced to white wires, concealing their pole role, and that the refrigerator wires were labeled as cabin lights. Other wires were still bundled in the zip tie but went nowhere. On a brighter note, Austin had a great day spent napping on the tummy of his good friend T. who is a Sea Scout (like a Boy Scout only for boating). 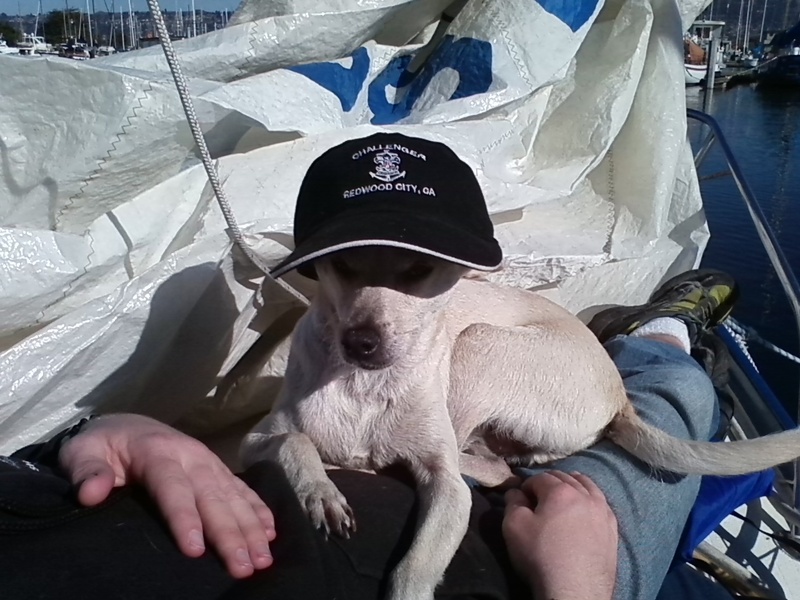 He made Austin an honorary mascot of the Sea Scouts for the day. I still have to climb the mast to the tippy top to effect repairs to the halyards, topping boom lift, and spreaders. The yard is providing toggles to extend the shrouds that were accidentally cut too short. The freezing, and I mean freezing, cold has prevented me from scrambling up the mast, but I’m ready to go at the first hint of at least 50 degrees and no wind. This entry was posted on Tuesday, January 11th, 2011 at 1:25 am and is filed under Boat Improvements and Crew and Guests. You can feed this entry. You can leave a response, or trackback from your own site.